The Toy Man® 2019 News & Reviews - "It's about a whole lot more than just toys!" As of December 2, 2013, you're seeing the latest and greatest and most fun way to see what the Tom Man offers! See the Best Trade Shows! Is There A Changing of The Guard On The Horizon? Leave your opinion of products! 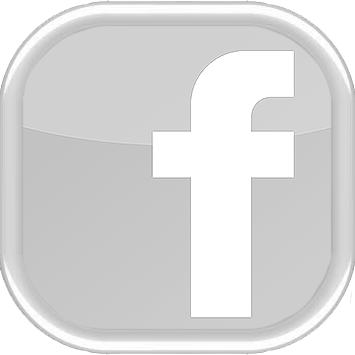 Do you have a favorite product and/or service that you'd like to comment on? Let Us Know. Looking for a shipping address? Of course it would be rather challenging to ship products for evaluation without one so we have provided that information for you below along with a few FAQ's - Frequently Asked Questions. "How many samples should I send for each product being submitted?" A minimum of two samples per product being submitted must be sent unless arrangements have been made by authorized staff to allow less. The greater the number of samples sent, the larger the number of consumers having hands-on evaluation of the product. "Can I get a rush on the evaluation of my product(s) submitted for evaluation?" Yes, you can but only if a formal request has been submitted following submission of the product, You must provide specific details as to urgency for us to approve priority on the evaluation of your product(s). Each request is handled on an individual basis and has no guarantee of approval. A unique processing ticket number will be generated and assigned to each request. "What's the difference between annual licensing and lifetime licensing?" With "Annual" licensing, you pay $150 for the first year for unlimited use of the Seals and Awards your are authorized to use, and pay a $25.00 renewal fee per year to maintain an active license. In addition, the period of years for "Active" license must be shown beneath each image. 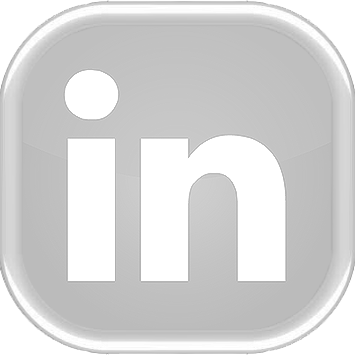 "Do I have to pay a fee to submit a product for evaluation or posting of it's being a winner?" No fees of any kind are required for the evaluation of any product submitted to us for review. We uphold professional journalism values which embody the idea of unbiased news coverage/evaluation. If so much as a single penny is received prior to the completion of a product evaluation, it is biased. There are no exceptions to this rule. Once and IF a product passes our strict evaluation process, a New Inductee announcement is published with details such as the URL of the company producing the product, UPC Code, MSRP, and other details. This is done with no fees of any kind. In regard to the evaluation process we use, we do not have "winners". Each product is judged by its own merits and how the product stands in the extensive number of evaluation categories used to complete an in-depth and fair evaluation. Just as with the evaluation process for the "Good Housekeeping Seal", which has continued to remain so popular and trusted for many years, a product must include excellent production values, universal ethical values, appeal to children, be consistent with age appropriateness, and innovative value in order to be considered for acceptance by The Toy Man® News & Reviews to become a recipient of The Toy Man® Seal of Approval. The Toy Man® News & Reviews staff look for products that not only entertain, but also teach simultaneously with an added edge. The products must actively stimulate a child's imagination, and contribute to further creative skill development in the age group for which they are designed. A product must be easy for them to use, consistent with current safety standards, as well as interesting. Products should contribute to a child’s development, mentally, physically, socially, and emotionally, while also being something they can have fun playing with. The product should have a strong durability level for extensive periods of play time and not break in the child's hands with reasonable use in their active play. A very vital part of the scenario is that the company which produces the toy should be dependable and stand behind its product. It should have tested it with children to validate age appropriateness and match descriptive information, age guidelines, and suggestions for use. It should also be independent lab tested if applicable. Products are generally donated with all appropriate manuals, etc. to persons in the target market for which the product has been designed, children's wards at hospitals, schools, off-continent urgent concerns, special needs children, or charities for disadvantaged children for most beneficial use from the contribution of the product. All products are evaluated based upon strict guidelines originally established by the International Parenting Institute™, ( hereafter referred to as IPI™), and the ChildSafe International Corp., which are quite detailed and have been carefully developed. Globally recognized credentialed professionals in multiple fields have either donated their time or been paid to help establish these guidelines and regular updating of same. These guidelines are periodically updated to remain consistent with current trends of the industry regulations and consumer market. All guidelines updates are made by The Toy Man® News & Reviews authorized staff. An important point to consider which makes The Toy Man® News & Reviews more unique is that the evaluation guidelines we use for a bicycle are far different than the guidelines for a plush toy. Professionals from each class of products have been used to carefully define evaluation guidelines specific to each product type. Each individual product evaluation/review is performed by a group of our staff members in addition to independent credentialed professional(s) who specialize in the same category as the product being tested. In addition, every product is subjected to spontaneous hands-on consumer evaluation. The evaluation report summaries are derived from a combination of the scoring from the evaluation reports and the hands-on consumer feedback forms for all inductees. They are written in a style to reach the specific target market for which the product is intended. This adds a unique perspective to each evaluation report summary and adds greater value. A sample of our guidelines structure which we use to evaluate and rate products submitted for evaluation is listed below. Please note that this is only a "sample" outline of our entire evaluation guidelines. Each section is evaluated on a 1 to 5 scale with the larger number being positive and the lower number being negative. We do not share our entire group of guidelines to maintain a unique proprietary evaluation procedure. What is the level of "funQuotient™" - How appealing is the product for use by a child? What is the level of "WOW!factor™" - To what degree does the product stimulate a strong positive impulsive response? What is the level of innovation and creative style that makes the product special or unique with stimulation of new play activity? What is the level of positive reaction from playing with a product - Does it cause a short or long term effect? What is the level of contribution to encouragement of positive social interaction with repeated use of the product in a home environment? What is the level of contribution to encouragement of positive social interaction with repeated use of the product in an educational environment? What is the level of creative awareness development by a child's use of the product? What is the level of contribution to critical skill development? What is the level of contribution to acquisition of new learning skills, practice, and information by using the product? What is the level of contribution to long-term retaining of new learning skills, practice, and information by using the product? What is the level of fit for adaptation for "Special Needs" children? These children have different levels of development and adaptation with products. What is the level of contribution to children’s healthy physical development by using the product? What is the level of suitability with the product for use in home, educational environment, or both? What is the level of quality in packaging design, safety, and age/gender designation with the product? What is the level of unsafe materials percentage in the product - Has it been independent lab tested? What is the level of risk related to choking hazard? What is the level	of being appropriate for age level or gender specified on packaging for the product? What is the level of quality in design and use of the product? Determination needs to be made as to how well the product will hold up to a child's continued use. What is the level of educational value	and accuracy of meeting specified productive ends with the product? What is the level of environmental contribution and social responsibility by the product? What is the level of simplicity of use of product? ( A child should be able to use a product with minimal difficulty. What is the level of accuracy/quality in auditory level if applicable? What is the level of accuracy/quality in visual appeal for the product? What is the level of contribution to children’s healthy physical development with the product? What is the level of visual appeal for marketing value and sales for the product? The Toy Man® accepts all juvenile products designed for infants through adult. Prototypes are also eligible for submission, but they are only given article recognition, no awards; as are Beta versions of software. The Toy Man® requires only two sample products for evaluation. It should be noted though that the more samples provided for evaluation, the greater number of evaluators that can participate and the number of hands-on consumers in that portion of the evaluation will be impacted dramatically. 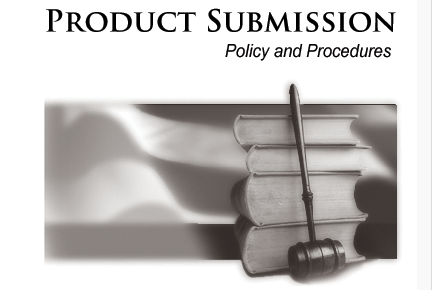 Products that are NOT approved for The Toy Man® Seal of Approval are eligible to be resubmitted. Upon re-submission the product, it must have the changes made which were specified in first submission denial for approval. There is no limit to the number of resubmissions. There are no submission fees of ANY kind. It is the desire of The Toy Man® News & Reviews staff to keep a level playing field for all products submitted for approval. All products submitted for evaluation are analyzed and tested under our strict evaluation guidelines. 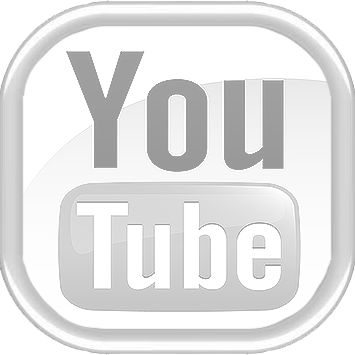 There is NO FEE of any kind for any portion of the product evaluation and/or publishing of evaluation report summaries/articles on The Toy Man® News & Reviews web site. 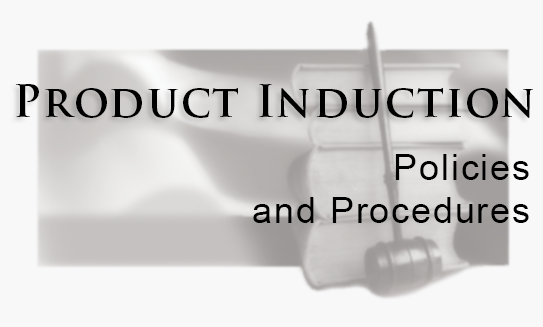 If a product is inducted, the product induction notification is published 24 hours before recipient is notified. If the company submitting the product(s) desires to use The Toy Man® Seal of Approval or awards in any manner other than The Toy Man® News & Reviews web site, a "first year" licensing fee of $150 per product, (with an additional $15 account setup fee for first year only.) Each seal and/or award is specific to the year it was given. The licensing fees and usage are an option, NOT mandatory. If the licensing option is selected, an in-depth and highly detailed evaluation report summary is published and will remain indefinitely for current and future reference. ( The OPTIONAL $150 USD licensing fee is in place in order to help create a greater "perceived value" of the Seal and/or Awards when used for promotional purposes outside of The Toy Man® News & Reviews web site. The fee is used as part of funding base to produce Award Certificates and other materials delivered to the manufacturers of products which have been inducted or selected for The Toy Man® Favorites Award. ) Renewal is only $25 per year on an annual basis. For an additional fee of $100 USD, renewals are no longer necessary and the period of active licensing does not need to be beneath each Seal and/or Award. This entitles licensee to unlimited use of Seals and Awards authorized for use. This also entitles licensee to additional benefits that the standard renewal licensee is not eligable for. The Toy Man® News & Reviews upholds a policy of no acceptance of COD or postage due packages. If your package is considered to be oversized or overweight by the US Postal Service, Fed Ex, UPS, DHL, or Airborne Express, you will need to contact our office to specify how the products or toys will be submitted. Please ship your products to the office specified on the product submission form. All products with their corresponding applications, press kits, etc. should be included. Evaluation and analysis is generally completed within 30 business days or less following reception of product, pending on complexity of design of product. Prior to a major trade show product evaluations can be expedited upon request and approval. PLEASE NOTE: To ensure 100% understanding of our product return policy, we are re-affirming it here. Results of product evaluations which fail to meet our guidelines will NOT be released, except to the manufacturer who submitted the product for review. We do NOT return products which are submitted, (unless arrangements have been made PRIOR to start of product evaluation.) Products are generally donated with all appropriate manuals, etc. to children's wards at hospitals, schools, off-continent urgent concerns, special needs children, or charities for disadvantaged children for most beneficial use from the contribution of the product. 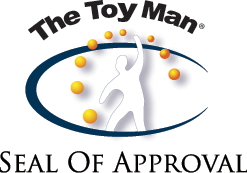 Since 1971 "The Toy Man® Seal of Approval" has served as an emblem and standard for professional recognition of a product or online service having met the globally recognized evaluation standards of The Toy Man® News & Reviews. The products and online services which become recipients of "The Toy Man® Award of Excellence" acheived an evaluation category rating average of  Stars, the highest level of rating available on a 1-5 scale evaluation model. The average is based upon the overall average from all applicable evaluation categories, not just the 6 evaluation categories featured in this summary. ® Award of Excellence are those who managed to get a ranking of 5 in our 1-5 overall rating scale." 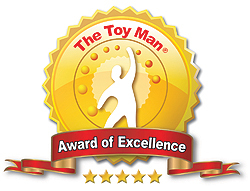 The Toy Man® Award of Excellence first and second generation images which were used from 1971-2007, 2007- September 2011 have been retired. Although the former versions of the Award of Excellence™ images have been retired, they still remain valid. "The Toy Man® Award serves as an emblem of recognition for products & online services that contribute substantially to positive skill growth and/or productivity. This distinguished award is exclusive as well as unique, with the editor's signature which represents a product being selected as an . PLEASE NOTE: The eChoice™ Award images which were used from 1971-1984, 1984-2007, 2007-April 2010 have been retired. Although the former versions of the eChoice™ Award have been retired, they still remain valid. "The Toy Man®Award of Recognition is the very latest award created to give recognition to the products and online services which The Toy Man personally designates as meeting his own strict standards of quality and many other factors. "The Toy Man® Q1-Q4 Top Ten Awards"
"The Toy Man® Q1-Q4 Top Ten Awards" - (The Quarter shown on each "Q* Award" is specific to the quarter for which it applies.) - This award is given to the Top Ten Products in any given quarter which are selected by our staff from our inductees list for that specific quarter only. The selection process involves a quarterly monitoring of all products inducted during each quarter which are determined to qualify for selection. This includes Q1-Q4 award recipients. On the 27th of each month, all staff are notified to create their lists for their picks for they deem to be the "Top Ten Products", On 28th, the results are compiled and published for public view on the 1st day of the following month. * There are no fees of any kind requested, submitted, or accepted from any source for a product to be considered for this award. These Seals and awards may be quite challenging to acquire yet that only makes themn of so much more value to your product branding. We invite your company to rise to the challenge and submit your products for our review and consideration for induction into The Toy Man® News & Reviews. As safety standards change in the industry, so must our product submission policy as well. As we make any changes to our guidelines, we will make that noted here. Latest evaluation guidelines update: 01/14/2013. PLEASE NOTE: If your product is one which is soon to be released and you need evaluation completed before a specific deadline date, please make a note of that in the note space onthe product and service submission form. 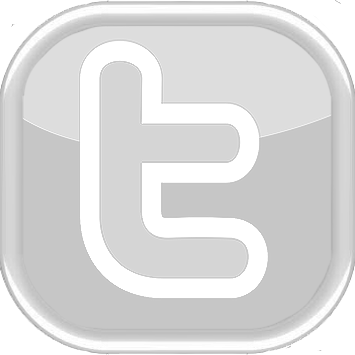 You can also contact us directly via telephone at 646.875.4541. Both professional and non-lab testing procedures will be implemented, adopting use of ASTM F963, CPSC, EN71, European Council Directive, UL, European ISO 14000 series, and JPMA evaluation/certification standards for reference in all product evaluation. This will be combined with use of the most current evaluation guidelines used and monitored by the The Toy Man® News & Reviews. To ensure we uphold a credible and objective method of product evaluation, we publish lengthy and in-depth evaluation report summaries. These evaluation report summaries are provided at no charge for inducted products and online services which hold an active license for unlimited use of our Seal and awards. The license is on an annual renewal cycle. The licensing is purely optional and the annual renewal fee is only $25 USD. We use malls, schools, libraries, airports, and other public locations for spontaneous unbiased hands-on consumer evaluation of products. Participants sign up to participate in the product evaluation and fill out a consumer evaluation form which is submitted upon completion. Participants are notified that their participation provides no reward for their effort outside of knowing they contributed in our providing a fair and accurate review of each product /online service. By signing the Consumer Evaluation Feedback Form, they agree to allow us to use quotations from any hands-on evaluation participant in our reviews with a condition of no full name or private information used without consent. We do NOT publish / release any information provided from independent lab testing results outside of the name of the copmpany which did the testing. The independent lab testing results are used to validate the independent testing laboratory and corresponding reference designation as confirmed, not just designated on the form. We do NOT return products which are submitted, (unless arrangements have been made PRIOR to start of product evaluation.) Products are generally donated with all appropriate manuals, etc. to children's wards at hospitals, schools, off-continent urgent concerns, special needs children, or charities for disadvantaged children. Upon request and formal approval by authorized staff, products can be returned. Any and all expenses for the return fall upon the company / individual who submitted the product(s). TWO sample products are required for evaluation. A product or service is received, tested / reviewed, inducted and induction notification published into The Toy Man® News & Reviews for NO COST and with NO PREJUDGEMENT. Information in reference to any product or service which fails our testing and evaluation will NOT be provided for public view. It is provided for the company which submitted the product only. The results from the evaluation will include specific details of why it failed and what must be done to bring the product or service to a level to meet our standards to qualify for induction and must be re-submitted for evaluation once those changes have been made. If the company which submitted the product/service desires to use the Seal of Approval and any award(s) in ANY manner, an OPTIONAL licensing fee of $150 USD for the first year of licensing is required. Renewal of licensing is based upon a $25.00 USD annual rate after first year of induction certification. This licensing applies to unlimited usage of the seal until expiration. Award(s) are free with unlimited use yet can only be used with a licensed copy of the Seal of Approval. Provision for recording certification of independent lab testing for a product is available and is OPTIONAL at this time. This form is based on an honor system, but if the independent lab testing information is provided, the inducted product or service analysis summary will note the independent testing laboratory and corresponding reference designation as confirmed, not just designated on the form. The URL to an online verification from the independent testing lab who performed the testing of the product. The URL to the independent testing lab who performed the testing of the product and the reference designation corresponding to the product test results. The seal and any award(s) must have the year of issue showing beneath the seal and any award(s). Whether or not the licensing option is chosen, the seal, and any award(s) received will will be published and remain published in this publication indefinitely. All awards are to be assigned with no form of charge to ensure no inflection of bias. A unique Induction Certificate Number (ICN) and expiration date is assigned to each product or service when it is inducted. The ICN number helps buyers be aware of product licensing being expired. If any upgrade or changes are made to the product, the new product must be submitted for new certification approval. * LeadSafe™, PhthalatesSafe™, and BPASafe™ Certifiication program information will be avaiulable soon. * For companies with mass volume of product offerings, we have a VIP program with reduced rates and streamlined process for high volume product submissions. For further information, please contact us directly for more details. "While we have our awards which are so widely recognized across the globe, yet the very foundation of our evaluation system is built upon "The Toy Man® Seal of Approval." 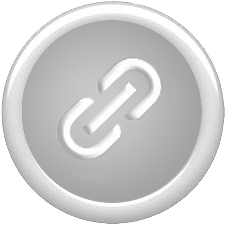 This page has been designed to serve as an informative source of details about "The Toy Man® Seal of Approval" to assist our readers in understanding its full purpose, functionality, and how to benefit from its use. The Toy Man® Seal of Approval was first established in January 1971 by the International Parenting Institute™ and ChildSafe International Corp (CSI). It was modeled after the "Good Housekeeping Seal of Approval®", an emblem of recognition for products which meet the globally recognized high standards set forth by the Good Housekeeping Institute®. The emblem was designed to give recognition to products which met the strict evaluation standards of The Toy Man® News & Reviews. At the time of the International Parenting Institute™ beginning as a functional organization, there were no real awards programs existing. The idea of something to provide added-value to a product's branding was a common topic in the toy and game industries. The founding members of the International Parenting Institute™ became active in the research and development of an emblem that could potentially deliver that "added-value" to a product from a source independent of the product manufacturer. The end result was the creation of The Toy Man® Seal of Approval you see above-left. The Toy Man® Seal of Approval proved to be a valuable asset for many over the years. It was successful in giving recognition to the elite group of products, (and eventually services as well), that met the strict evaluation standards of The Toy Man® News & Reviews. Little did we know that soon a major change, a productive change to The Toy Man® Seal of Approval was soon to occur. The short version of this story is that a certain "party" contacted the International Parenting Institute™ office with notification that the image currently being used had to change. On 1 June, 2007, an entirely new and more professional version of The Toy Man® Seal of Approval was put into use and the original was retired. 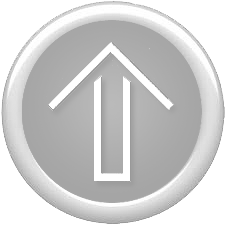 The image you now see on the top of the screen and at left is the new version of The Toy Man® Seal of Approval which was adopted. * Due to a legal agreement terms and conditions we are unable to share the details of who and why. If you are product developer in today's economy, you are already aware that things are changing. Consumers are becoming more aware about awards on products and performing due diligence to learn more about their value. Since 1971 "The Toy Man® Seal of Approval" has served as an emblem and standard of trust. It represents an affirmation of quality and functionality in a product or service that has earned the right to bare "The Toy Man® Seal of Approval". Whether consumer, corporate buyer, or retailer, when they see this Seal, they know it is a product that has met the strict evaluation standards for which The Toy Man® News & Reviews is so well known across the globe. If you are a retailer, corporate buyers or reseller, you know the challenge you have to face in making informed decisions in your buying habits to ensure a maximum ROI. Unlike the usual awards that are so common today, "The Toy Man® Seal of Approval” and associated awards give you that added edge you are looking for. 100% transparency in product submission and evaluation from start to finish is just the start. Combine that with the most lengthy and in-depth evaluations in the industry and you have the assurance of a higher percentage of probability in sales. Awards programs have their own unique value yet are increasingly common. 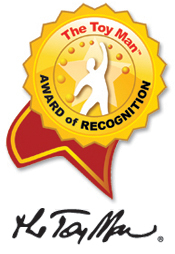 “The Toy Man® Seal of Approval" and associated awards represent the high bar in accuracy and respected International standards of recognition. Products with this Seal do more than simply exist...they exist with strong purpose and contribution to the betterment of others. They have the recognition for added-value you are looking for in a product. Consumers are at the mercy of the media product pitch frenzy and find it challenging many times to make wise decisions in buying products. This is where for consumers across the globe, not just the US, "The Toy Man® Seal of Approval" is serving to help them be more confident in their buying decisions. When a consumer reads one of our lenghty and in-depth evaluation report summaries, ERS, they gain perspective on a product from our in-house staff, independent credentialed professionals with their specialty associated with the type of product in the ERS, and best of all, the perception of a product from the consumers perspective. Combine "The Toy Man® Seal of Approval" with the ERS for each featured product and you have an exclusive source of information on products that is exclusive to The Toy Man® News & Reviews. This results in confident and informed buying habits for consumers like never before imagined. There is one inarguable fact that speaks for itself. "The Toy Man® Seal of Approval" was first established in 1971, long before any of the most highly recognized awards programs in the industry. Many of those awards programs elected to adopt use of the term "Seal of Approval" as an award in their awards program. "The Toy Man® Seal of Approval" in essence can be seen as having established a standard that inspired others to follow with their own unique approach to product recognition. While "The Toy Man® Seal of Approval" has its great value, "The Toy Man® Awards" each have their own unique value and contribution to product branding and marketability. We invite you to learn more about "The Toy Man® Awards", their importance and how they can be of benefit to you. This section is dedicated to providing information about each of our awards. Each award is unique not just in design, but in purpose as well. Each award is featured below with a brief description of the criteria to be met to be a recipient of it. The objective behind this is to enable our readers to gain a greater understanding of the value and signifigance of each award. 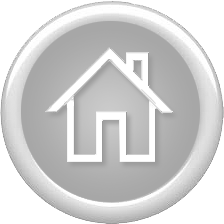 With a greater understanding of our awards as well as our Seal of Approval, you can make more informed and effective buying decisions. The Toy Man® Award serves as an emblem of recognition for products & online services that contribute substantially to positive skill growth and/or productivity. 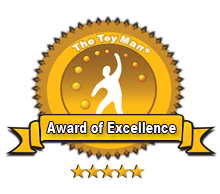 "The Toy Man® Award of Recognition is the very latest award created to give recognition to the products and online services which The Toy Man® personally designates as meeting his own strict standards of quality and many other factors. The Toy Man® eco-Recognition Seal™ embodies the highest recognition for products and services which provide a significant contribution to ecological concerns. The Toy Man® S.T.E.M. Award - Science, Technology, Engineering, and Math (S.T.E.M. ), play a vital role with innovative new ideas being transformed into a reality. The Toy Man® S.T.E.M. Award has been created to give recognition to those that have held their course in completion of graduate studies with an end result of a valuable contribution to society and/or industry needs. "The Toy Man® Recommends...™" Award is by far, the most challenging of our awards to acquire. 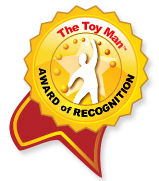 Products and Online Services that receive this award are officially "recommended" by The Toy Man® Product Guide. These products and online services are given recognition as being one of the limited few judged as having the best return on investment. This includes yet not limited to both immediate and long term benefit from use." 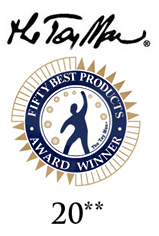 "The Toy Man® Top Fifty Products Award" - (The year shown on each "Best of 20** Award" is specific to the year for which it applies.) - This award is given to the Top Fifty Products in any given year which are selected from our inductees for that specific year only. The selection process involves a continuous monitoring of all products inducted by our own staff and our qualified independent industry evaluators, for products which they feel may qualify for selection. This includes Q1-Q4 award recipients. 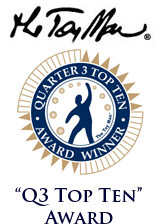 "The Toy Man® Q1-Q4 Top Ten Products Awards" - (The Quarter shown on each "Q* Award" is specific to the quarter for which it applies.) 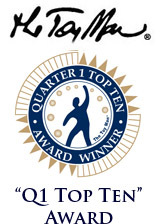 - This award is given to the Top Ten Products in any given quarter which are selected by our staff from our inductees list for that specific quarter only. The selection process involves a quarterly monitoring of all products inducted during each quarter which are determined to qualify for selection. This includes Q1-Q4 award recipients. On the 27th of the last month in each quarter, all staff are notified to create their lists for their picks for they deem to be the "Top Ten Products", On 28th, the results are compiled and published for public view on the 1st day of the following new quarter. There are several more commonly used awards programs available to consider. Although they do not meet the standards we have set to be recommended by The Toy Man® Product Guide, they are still available for consideration.